Back in 2013, The WITH Foundation provided funding to the Vanderbilt Kennedy Center for the creation of an electronic toolkit for primary care of adults with developmental disabilities. The project has been a success and continues to evolve. We’re proud to share this update. receive little attention to wellness, preventive care, and health promotion. While these adults deserve quality, patient-centered health care, many health care professionals have had little training or experience in working with individuals with developmental disabilities and may not to feel comfortable providing care for adults with I/DD. The IDD Toolkit is a website devoted to information for the primary care of adults with intellectual and developmental disabilities. The toolkit came online in 2014, and is accessible on a PC, tablet or smartphone. Between the launch in January 2014 and mid-August 2018, 171,532 users have accessed the website, with more than 555,400 page views, and they have downloaded more than 404,000 forms. People from 192 nations have visited the IDD Toolkit site. General Issues–Information about how to interact effectively with people with communication barriers, how to discuss issues of informed consent with individuals with I/DD, and includes a downloadable form detailing information about that day’s visit to the doctor. Physical Issues–This section includes downloadable forms for a cumulative patient profile and preventive care checklists for men and women, with special emphasis on matters that might be specific to people with developmental disabilities. Health Watch Tables–Provides guidance on specific health concerns for people with autism, Down syndrome, Fragile X, Prader-Willi syndrome, Williams syndrome, 22q11.2 deletion syndrome and fetal alcohol spectrum disorders. Behavioral and Mental Health Issues–This section offers risk assessment tools, crisis management and prevention plans, downloadable forms for the health care provider and the caregiver to help address behavioral or emotional concerns, and guidance on psychiatric symptoms as well as psychotropic medications. All of the tools, except for the Autism Health Watch Table, were developed in Ontario, Canada, to complement the Primary care of adults with developmental disabilities: Canadian consensus guidelines (DD Guidelines). The tools were developed by the Developmental Disabilities Primary Care Initiative with funding from the Ontario Ministry of Community and Social Services, Ontario Ministry of Health and Long Term Care, Surrey Place Centre and Surrey Place Centre Charitable Foundation. One of the physicians involved in the Canadian project, Dr. Thomas Cheetham, moved to Tennessee several years ago and saw a need for the same type of medical information here in the United States. He realized, however, that the information would need to be revised for the U.S. health care system and that making it widely available was vital, if health care was to be improved. Dr. Cheetham, who is the Deputy Commissioner of Health Services at the Tennessee Department of Intellectual and Developmental Disabilities, worked with the Vanderbilt Kennedy Center for Research on Human Development, the University of Tennessee Boling Center for Developmental Disabilities and an advisory team of physicians, researchers, parents and self-advocates to adapt and update the Canadian tools for U.S. health care providers. The IDD Toolkit website was first launched as an invaluable resource for health care providers, individuals with disabilities, their families and support staff and having this information available is leading to improvements in the health of adults with I/DD across the nation. The team developed a live training program for providers based on the IDD Toolkit. 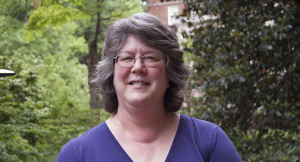 With an Advisory Committee, Janet and her team worked with the VUMC Departments of Telemedicine and the Office of Continuous Professional Development to set up sessions and gain approval for the CME/AMA/AAFP credits. Participants earned 1 CME credit per session. The IDD Toolkit team offered live videoconferencing training, including case presentations from providers to an “expert panel” from internal/family medicine, psychiatry, neurology, psychology/behavioral health, occupational therapy and nursing on managing health in people with I/DD. They increased the capacity of providers to serve people with I/DD in their communities, recruiting 20 providers to participate in the monthly live video conferencing sessions. They increased awareness of Tennessee’s new Telemedicine Law with the hope that that fewer people with I/DD will have to travel for routine treatment. Recruiting providers for monthly midday sessions was more difficult than expected. Recruitment by physicians and one nurse on the team, peer-to-peer interaction, was the most successful strategy. Once the group was recruited, it took longer than expected for the providers to become comfortable sharing their cases. Not as many family practice physicians and/or internists were interested in participating as they hoped, but a number of those participating were neurologists. The neurologists are often asked to provide medication management as there are not enough psychiatrists. Multiple barriers were encountered evaluating the benefits of the telehealth training on emergency room visits, hospitalizations and psychotropic medication use. Clinicians need incentives to participate in a training program aimed at better serving adults with I/DD. While some were seeking CME credits, for others the free CME credit was not an incentive. Devising a system for better identification of patients with I/DD is vital for finding the providers who care for these individuals and for determining outcomes. The IDD Toolkit team found that once clinicians participated in a series, they were more inclined to continue to take part in the sessions. The 3-pronged approach is critical to this projects success. The telehealth project, which provides live, interactive opportunities to learn, ask questions and present difficult cases to experienced clinicians. The project team also found that partnering with other organizations such as managed care and professional organizations is beneficial. Many thanks to Janet Shouse, the program coordinator for the IDD Toolkit at the Vanderbilt Kennedy Center and the heart of this important project. Janet is the parent of three young adults, including one with autism. She has served with various disability-related organizations, including Autism Tennessee, the Disability Coalition on Education and the Tennessee Autism Summit Team.